We design and manufacture all types of conveyor rollers for industries such as agricultural, automotive, canning, computer, electronics, food processing, aerospace, chemical, bottling and print finishing benefit from such handling equipment. These conveyor rollers provide low noise for conveyor systems. They also aim at decreasing the wear and tear of the entire system by providing it with an extended life. They are precision-powered and make use of bearing caps, conductive bushing and crimped tube ends. These components of the roller prevent materials from going out of the tube. They also contain sprockets and grooves for fixed shafts and chain-driven conveyors. These are perfect for systems dependent on rollers as the driving device of the entire conveyor system. 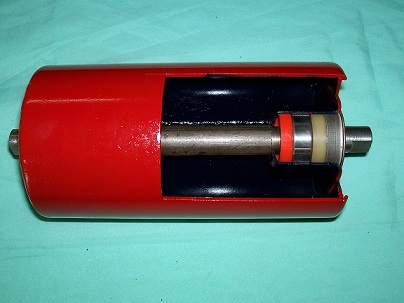 It has the capacity to locate grooves at any portion of the roller and is spring loaded on both its ends. It contains the standard galvanized steel tube and is equipped with crimped tube ends for bearing security. It is favored because it is easy to install plus it has a long bearing life. It can withstand high load and fast speed and contains a corrosion-resistant tube. This is a less costly alternative to the high-speed conveyor rollers. It utilizes a commercial grade bearing and requires lower speed. It is also a great option for applications where noise is not a problem. 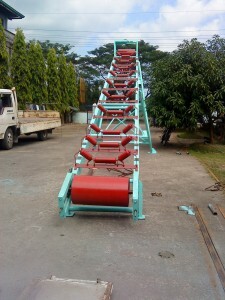 It is recommended to fit any type of conveyor system. There are other types of conveyor rollers namely the corrosion resistant rollers and chain driven rollers. The former contains lightweight steel roller tubes but has the capacity to handle heavy loads. The latter on the other hand has single or double sprockets welded to form part of the roller tube. These rollers are easy to install and have high speed capabilities thus complying with heavy load requirements. please let us know the price of your conveyor rollers, and their life. we will use them for the colliery,steel mill and the power plant.